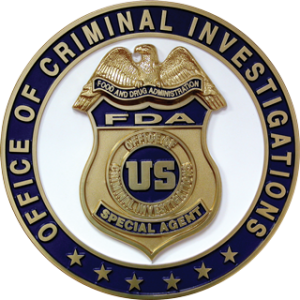 The stated purpose for the FDA is to protect the public when it comes to food, nutritional supplements, drugs, and medical devices. 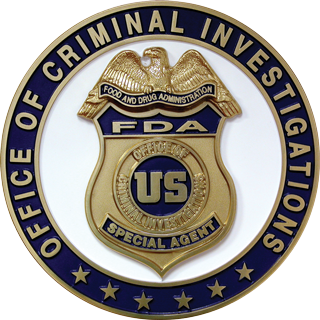 A recent food scare and the removals of tomatoes from the market is an example of the FDA’s responsibilities. Several years ago I remember Tylenol capsules that had been laced with arsenic and the FDA immediately had all products like that removed from the market for a week or so. For awhile regular gelatin capsules, that can be taken apart, were banned and replaced with caplets, the one piece capsule type pill. These are examples of the FDA doing its job. But let me give you the other side. Sometime in the 1980s there was a front page news report about a raid on a medical doctor’s office on the West Coast. FDA agents along with a local SWAT team broke down the door minutes before the clinic was about to open, even though the property manager was offering them a key, and shoved all the nurses and other employees against the wall with guns pointed. They confiscated thousands of dollars of computer equipment and nutritional supplements and claimed the doctor was using potentially harmful unapproved drugs on his patience. One of the agents, in a photo shoot, held up a vial of mold indicating the doctor was injecting it into unsuspecting patients. Of course this was a lie. What were these unapproved drugs? Homeopathic vitamins from Germany. What was funny is I carried the same products in my office. These products were approved by Germany’s equivalent of the FDA but since homeopathy was not fully accepted by the FDA in the United States certain remedies were on their ban list. These homeopathic remedies could have been given to a baby, a gallon at a time with no possible side effects. After almost a year after the raid no charges were filed and there had never been any patient complaints. The biggest crime this doctor did was abandon drug therapy, as a medical doctor, and utilized exclusively natural therapies in his clinic. Around the same time the president of a well known nutritional company sold in health food stores, had his home invaded by armed SWAT team’s and FDA agents for the serious crime of distributing research on vitamin E. You heard me right. Because the research was not approved information by the FDA nutritional companies do not have the freedom of the press nor the freedom of speech to pass on information, truthful information about their products. As amazing as this sounds in the United States of America the FDA routinely inhibits the freedom of speech and freedom of press when it comes to natural nutritional products. In the 60 years of the FDA’s existence, in their great wisdom, they have only found about five or six nutritional products that they feel are worthy of claims. Their war against nutritional therapy is legend in the natural healthcare community. The FDA has actually shown up in nutritional seminars for doctors, put on by doctors, to stop the free flow of information concerning nutritional therapy. I’m not talking about the KGB and Russia I’m talking about the FDA in the United States of America. The head of the science department at Loyola University decided to do research on the vitamin called Laetrile to see if its claims about cancer were true. As a scientist he had the right to purchase this vitamin even though the FDA had banned it in the United States. Yet his shipments were continually blocked and his facilities were repeatedly harassed and investigated by the FDA because he wanted to do this legitimate research. Through much effort and legal infighting he was able to finish his research and showed under certain circumstances this vitamin was effective in cancer. Yet the FDA still bans it today. Hydroxyapatite is an extremely powerful bone builder and a very effective natural nutritional formula. But in order for the nutritional companies, who sell this product, to be able to make claims that it helps with bone integrity it has to be approved by the FDA. One company decided to spend over $1 million to do the testing to get it approved. This is an extreme hardship on nutritional companies because they can’t patent a natural product. When a drug company spends that kind of money to bring a new drug to market they can patent it for 25 to 40 years and recoup all their research money a thousand times over. So when the nutritional company spends their money they never are able to recoup it because hundreds if not thousands of other nutritional companies will be able to use their research to promote their own hydroxyapatite product. Remember, you can’t patent natural products. So you can see getting FDA approval is a whole different animal for nutritional companies as opposed to drug companies. This makes for a very unfair playing field. But one company, that I have worked with for over 25 years, bit the bullet and did the research only to have the FDA deny their right to make the claim. This company had to spend another several hundred thousand dollars in legal fees to take the FDA to court. Fortunately the FDA always seems to lose in court when it comes to these kinds of issues. The judge always chastises them for not following their own rules. Yet they never change. Another company that I’ve worked with over the years developed a modified tens unit to do cerebral electrical stimulation. They had had multiple patients, who used their units for pain, tell them that they had less anxiety, depression and insomnia with regular use of their tens unit for pain. So they too spent the money in research to justify these claims. The research was overwhelming that their unit did help balance neurotransmitters and improve depression, anxiety and sleep disorders without drugs. This was an amazing finding considering the number of people who use harmful medications to control their symptoms. Just the paperwork required to submit an approval application runs a company around $200,000. After submitting their paperwork and awaiting an appropriate amount of time they contacted the FDA to see how the approval process was going. The FDA’s response was “sorry, we lost your paperwork you’ll need to resubmit.” That meant they would have to reproduce another $200,000 worth of documenting paperwork and have it resubmitted to the FDA. Again after waiting an appropriate amount of time they called only to be told the same thing “sorry, we lost your paperwork.” With this they took the FDA to court and again won the right to make claims about their product. Over the 60 years of the FDA’s existence they have shown their extreme bias against nonpharmaceutical, nonsurgical approaches to health. These stories are just the tip of the iceberg. Thousands of companies selling nutritional products and nonsurgical medical devices have been put out of business due to the FDA’s political, unethical practices. Let me tell you a more personal story. In the 1980s a Japanese company developed a new technique of manufacturing L-tryptophan, an amino acid used for 40 years in the United States for depression, anxiety and sleep disorders. They neglected to check for contaminants in their new manufacturing process and released a product with a contaminant that caused a severe allergic reaction. For those susceptible to this allergen it would cause severe muscle damage and there were even some deaths. When it was determined that L-tryptophan was associated with this new and strange condition the FDA immediately had tryptophan removed from the market, which seemed to be an appropriate step. They still allowed it to be used in intravenous feeding tubes and infant formulas because of the importance in those situations. Within a few weeks it was determined that only the batches of tryptophan coming from this particular Japanese company were at fault. The contaminant was found and the consumers who were damaged sued and won judgments against this Japanese company. That’s all well and good but how come the tryptophan is still off the market? The FDA pronounce it was going to keep tryptophan off the market permanently and even though there was an uproar, because millions of Americans found this to be a safe and effective treatment for their depression, anxiety and sleep disorders yet the FDA stuck to it guns. During this time I called the FDA to complain about this unfair practice. By this time in my practice I had seen several effective and powerful nutritional products removed from the market by the FDA. Enough was enough. So I called and talked to a government employee at the FDA and was appalled at the lies and stonewalling that I received. They didn’t know that I was a doctor and kept up their story about the tryptophan problem. I knew it wasn’t the tryptophan it was a contaminant in the tryptophan. Yet this agent, who knew better, who knew all the facts surrounding the tryptophan fiasco lied to me over the phone saying it was the tryptophan. When I ask why this unique condition only showed up in the last few months and tryptophan had been used for the past 40 years without any problems, they didn’t skip a beat and came out with an unlikely story that no one ever caught this before. Our government lies to us, this is hard to take. The FDA is one of the most unethical arms of the government that I’m aware of. In other words their story was this, tryptophan is OK for the seriously ill patient who has to take their food intravenously or for newborn babies but it’s too dangerous for the general public. That’s their story and they were sticking with it. And they have stuck with it for almost 20 years, but recently I guess by magic tryptophan has become safe again. Because now I can sell it without a label saying for animal use only. You heard me right, for several years I got pure pharmaceutical grade L-tryptophan labeled for animal use only, for some of my patients. Let me explain, animal products are manufactured by the same stringent controls that human products go through. Yet the FDA in their wisdom determined tryptophan couldn’t hurt animals just humans. I write this article because even today some people are afraid to do anything that’s not FDA approved. But it’s important to understand when it comes to natural health care you simply cannot trust this corrupt organization. This entry was posted in Knowledge Base and tagged DIET, drugs, FDA, life, Natural Healthcare by DocJohn. Bookmark the permalink.